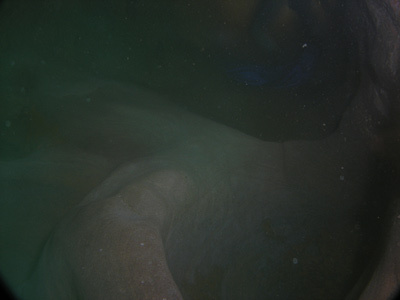 There are some very strange places I have dived over the years, inside the retaining wall for the Container Terminal in Botany Bay, exploring up the sewage treatment plant disposal pipes at North Head and Malabar being three of the strangest I can quickly recall. In June 2009 I did another very strange dive. In mid-2008 Peter Flockart, a member of our dive Club and someone I have known for almost 20 years, sent me a link to a YouTube video that was quite interesting to us as divers and to Peter as a fan of defence fortifications. This video showed a group of people diving into a crack in the reef and surfacing in a tunnel. What's more, this was in Sydney Harbour. From the video, we figured out the location of the tunnel and decided that on the next available opportunity, we would look for the tunnel and explore it ourselves. The shores of Sydney Harbour are covered in old fortifications, some dating back to 1800 (there are gun emplacements under the Sydney Harbour Bridge approaches on the south side) with most being built from the period after 1870. More were built during World War II. North Head, South Head, Middle Head are particularly "infested" with fortifications. In addition, Botany Bay has some great ones on the northern headland (I used to explore them as a child when access was easy). The tunnel shown in the video was on the southern side of Middle Head, between Obelisk Beach and Chowder Bay. 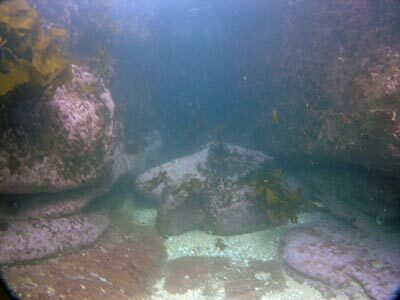 After a dive at North Head in June 2009, we headed over to the location that we suspected housed the tunnel. We soon figured out the exact location as there was a concrete covered cut in the reef. For all intents and purposes, it looked like a drain that you see everywhere in the Harbour and around Sydney. We anchored a few dozen metres off the shore and Peter and I dropped into the water. We swam over towards the concrete and then descended. As we approached the rock platform, we saw a cutting in the reef. This was not natural, the walls were too perfect. There is a lot of kelp at the approach, I imagine that sometimes it could almost obscure the cutting. This cutting is the entrance to the tunnel. 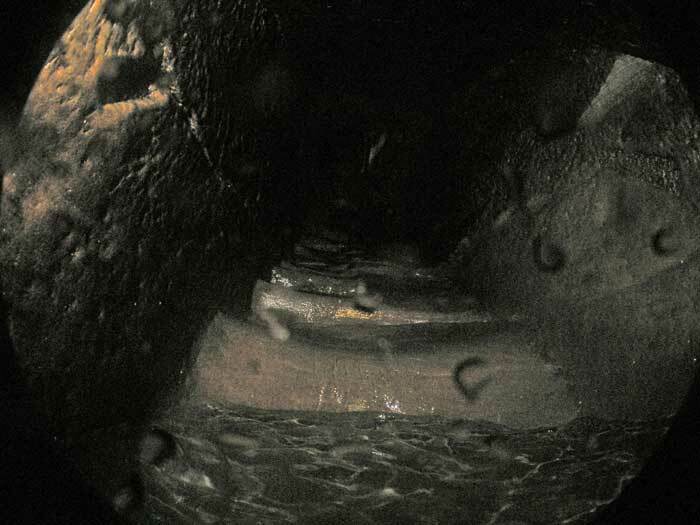 The depth is only a few metres and there is a bit of surge as we move into the tunnel. The tunnel goes for about five metres in one direction and then turns about 30° to the right. It is a bit less than five metres before we are forced to surface. The tunnel is fairly dark near the bend, but before that and after it is relatively light. Once we have surfaced, we can see light streaming in from above. Ahead of us are a set of stairs that ascend up inside the cliff-face. At the top there appears to be a door and possibly a tunnel leading off from the stairs. We could not explore further as the the jump from where we are standing to the next step above is far too high for us to climb up wearing full scuba gear. In addition, it is too surgy to take off the gear and then climb up. I take a couple of photographs, but it is difficult getting the strobe to face upwards as it is too "limp" above water. Photos to follow in a few days. We drop back under the water and swim out the entrance and back to the boat. A very different dive! In early 2017 I discover what this tunnel was actually used for. Both Peter and I had tried numerous times to find out more about the purpose of the tunnel and in January 2017 the tunnel was featured on a Sydney TV News report in a story that claimed it was a new discovery. Not really!! Anyway, I was contacted by Tony Steinbeck who sent me photographs he took back in the 1980s (I think) of the inside of the tunnel and the casemate. He also provided me with the purpose of the tunnel! It turns out it was built in the 1800s so that cables could run from the shore to mines laid in the harbour. Whether these mines were actually laid or this was all preparation I still do not know. So now we know the purpose of the tunnel. Back in 2009 I said that we planned to return when the tide was high as we figured we would then be able to get up onto the first step and then take off our gear and explore the tunnel further. We still have not got around to doing this, maybe in a year or two.